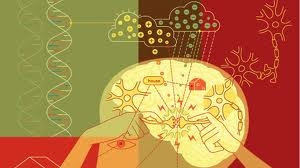 Does brain plasticity trump innateness? The fact that the adult brain is very plastic is often held up as evidence against the idea that many psychological, cognitive or behavioural traits are innately determined. At first glance, there does indeed appear to be a paradox. On the one hand, behavioural genetic studies show that many human psychological traits are strongly heritable and thus likely determined, at least in part, by innate biological differences. On the other, it is very clear that even the adult brain is highly plastic and changes itself in response to experience. I have a new post on BigThink on engineering viruses to trace neural connections. Apologies for not posting anything recently. I have something in the works at BigThink and a few more in the pipeline but it has been hard finding the time to blog recently. I hope to be back to it in a couple of weeks. 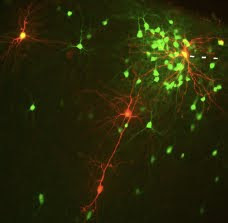 A new study suggests that a gene known to be causally linked to schizophrenia and other psychiatric disorders is involved in the formation of connections between the two hemispheres of the brain. DISC1 is probably the most famous gene in psychiatric genetics, and rightly so. It was discovered in a large Scottish pedigree, where 18 members were affected by psychiatric disease. 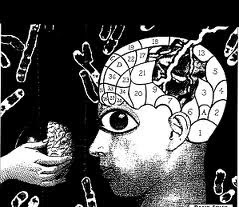 The diagnoses ranged from schizophrenia and bipolar disorder to depression and a range of “minor” psychiatric conditions. It was found that the affected individuals had all inherited a genetic anomaly – a translocation of genetic material between two chromosomes. This basically involves sections of two chromosomes swapping with each other. 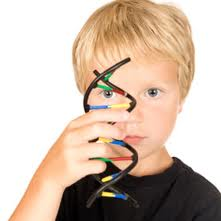 In the process, each chromosome is broken, before being spliced back to part of the other chromosome. 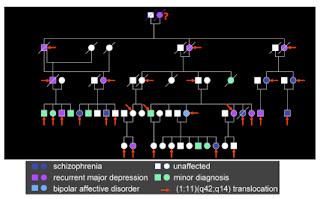 In this case, the breakpoint on chromosome 1 interrupted a gene, subsequently named Disrupted-in-Schizophrenia-1, or DISC1. 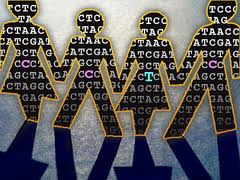 There is a common view that the human genome has two different parts – a “constant” part and a “variable” part. According to this view, the bases of DNA in the constant part are the same across all individuals. They are said to be “fixed” in the population. They are what make us all human – they differentiate us from other species. The variable part, in contrast, is made of positions in the DNA sequence that are “polymorphic” – they come in two or more different versions. Some people carry one base at that position and others carry another. The idea is that it is the particular set of such variations that we inherit that makes us each unique (unless we have an identical twin). According to this idea, we each have a hand dealt from the same deck. Hearing voices is a hallmark of schizophrenia and other psychotic disorders, occurring in 60-80% of cases. These voices are typically identified as belonging to other people and may be voicing the person’s thoughts, commenting on their actions or ideas, arguing with each other or telling the person to do something. 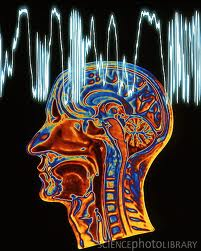 Importantly, these auditory hallucinations are as subjectively real as any external voices. They may in many cases be critical or abusive and are often highly distressing to the sufferer. However, many perfectly healthy people also regularly hear voices – as many as 1 in 25 according to some studies, and in most cases these experiences are perfectly benign. In fact, we all hear voices “belonging to other people” when we dream – we can converse with these voices, waiting for their responses as if they were derived from external agents. Of course, these percepts are actually generated by the activity of our own brain, but how? A couple of recent papers have been making headlines in relation to autism, one claiming that it is caused less by genetics than previously believed and more by the environment and the other specifically claiming that antidepressant use by expectant mothers increases the risk of autism in the child. But are these conclusions really supported by the data? Are they strongly enough supported to warrant being splashed across newspapers worldwide, where most readers will remember only the headline as the take-away message? The legacy of the MMR vaccination hoax shows how difficult it can be to counter overblown claims and the negative consequences that can arise as a result. 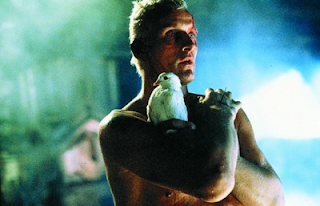 Deckard: She's a replicant, isn't she? Tyrell: I'm impressed. How many questions does it usually take to spot them? Deckard: I don't get it, Tyrell. Tyrell: It took more than a hundred for Rachael, didn't it? Deckard: [realizing Rachael believes she's human] She doesn't know. Tyrell: She's beginning to suspect, I think. A debate has been raging over the last few years over the nature of the genetic architecture of so-called “complex” disorders. These are disorders - such as schizophrenia, epilepsy, type II diabetes and many others - which are clearly heritable across the population, but which do not show simple patterns of inheritance. A new study looking at the profile of mutations in hundreds of genes in patients with epilepsy dramatically illustrates this complexity. The possible implications are far-reaching, especially for our ability to predict risk based on an individual’s genetic profile, but do these findings apply to all complex disorders?